Philip Whitaker grew up in Chattanooga and at the age of 53 is no stranger to navigating the mountains. As a former Navy Surface Warfare Officer and current lawyer in Chattanooga, Whitaker is also not afraid to take on challenges a bit out of the ordinary. Inspired by his friend and hiking partner Scott Graham, (whose own experience in mountaineering includes summiting peaks such as Aconcagua, Denali, Kilimanjaro, and even Everest), Whitaker made his first glacial mountaineering adventure on Mount Hood in 2006. 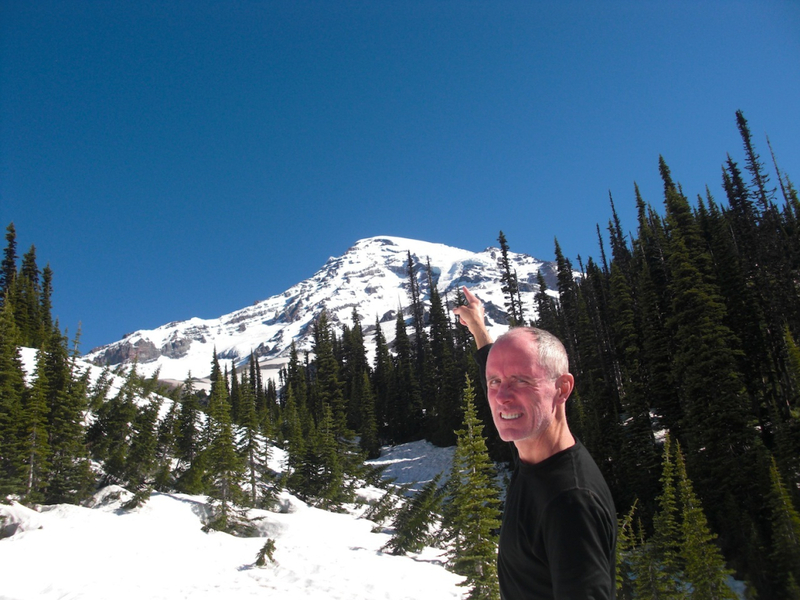 Though Whitaker describes Hood as "a miniature version of Rainier" and had no intention of making a similar trip ever again, his love for adventure and desire to conquer a fear of heights eventually got the better of him, and he decided to attempt a summit of Mount Rainier after all. If you have ever flown into the Seattle-Tacoma airport you've probably seen Rainier jut its massive, iconic peak through the clouds. 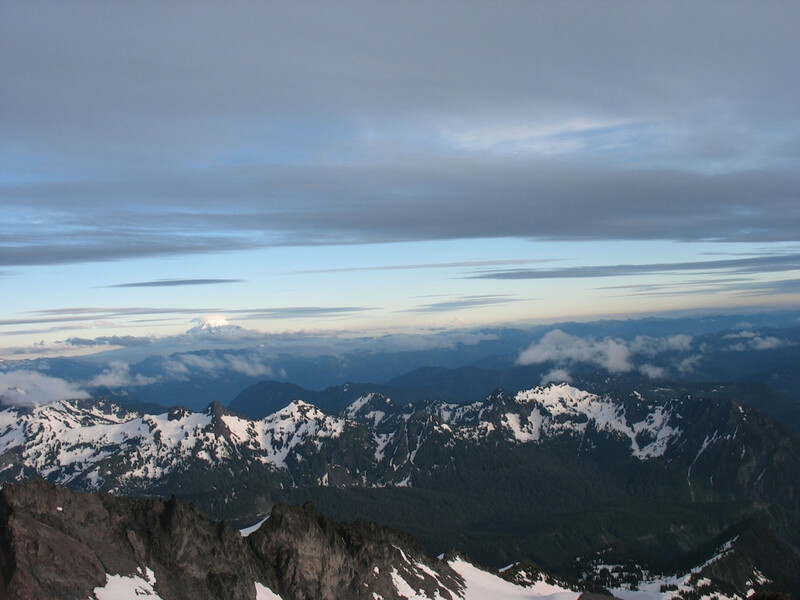 With a summit elevation of 14,411 ft, Rainier is the tallest mountain in Washington State and the Cascade Mountain Range. It is actually a volcano and considered one of the most dangerous in the world due to its possibility for eruption. Weather conditions are also unpredictable and harsh and can cause avalanches as well as rock and ice falls which, according to Whitaker, are the biggest safety concerns. "There’s a significant objective hazard of icefall from seracs (blocks or columns of glacial ice) that cave off of the Kautz Ice Cliff, which you have to travel beneath on summit day as you cross a gully on the way to the Kautz Ice Chute. The problem is that there’s really no rhyme or reason as to the time of day when icefalls occur, so climbers try to minimize the danger there by passing through the gulley as quickly as possible." With previous epic hikes under his belt like Mount Whitney in the Sierra Nevada (14,505 ft) and a 48-mile rim-to-rim-to-rim trip in the Grand Canyon in less than 24 hours, training for Rainier was high on the radar. Whitaker trained several times a week for a 12 week period leading up to the climb. He worked with a personal trainer once a week and included lots of cardio and strength training on his own. "The absolute best preparation for Rainier was to hike on steep terrain while carrying a heavy load." Whitaker and his team also practiced rappelling and crevasse rescue techniques several times before the trip, as well as knot tying. After a failed first attempt at the summit in the summer of 2013, where they "hit whiteout at the top of the chute at 11,700 feet and had to descend," Whitaker made another attempt in late June of this year. Choosing the Kautz Glacier Route, a very technical route traveling over a narrow glacier on the southern flank of the mountain, Whitaker hoped for better luck this time around. Unfortunately, none would come. 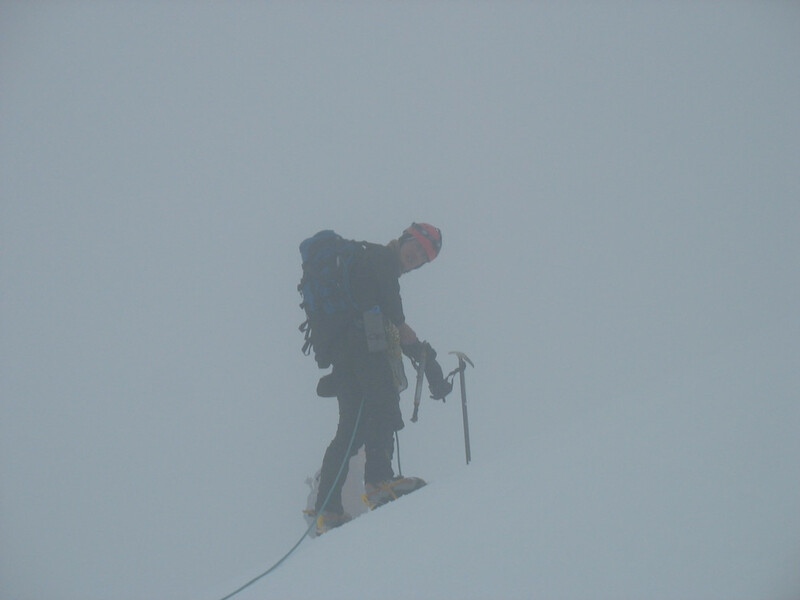 Again due to bad weather conditions, Whitaker and his four partners were forced to descend the mountain, this time at 7,000 ft. Though stopped twice from summiting Rainer, Whitaker has not yet given up hope. "We're going back in July 2015. We’re going to try it a week later in the year to see if we can change our luck with the weather." While wanting to knock this elusive summit off his bucket list is certainly a driving factor behind his persistent attempts, Whitaker admits that there are other aspects of the climb that he appreciates just as much, if not more. "The best part about the experience is the opportunity to participate in a physically and mentally demanding, yet rewarding activity in an absolutely beautiful environment with a small group of close-knit friends. It doesn't get much better, really."